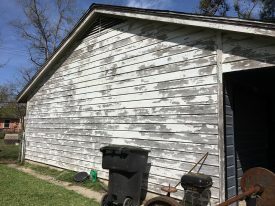 TAMPA, Fla. – The IRONMAN Foundation® will award a $10,000 Community Grant to Rebuilding Together Houston to restore the home of a local disabled senior known as Ms. Angela and provide athletes the opportunity to volunteer for a service project on April 19. Together they will band together to complete the exterior work on Ms. Angela’s home. In addition, The IRONMAN Foundation will distribute $100,000 in charitable giveback to nonprofit initiatives and groups in the greater Harris County and Montgomery County regions in conjunction with the 2017 Memorial Hermann IRONMAN® North American Championship Texas triathlon taking place on Saturday, April 22. The IRONMAN Foundation Community Fund provides community and volunteerism grant opportunities to non-profit organizations where IRONMAN events are held. This year’s grant funding brings the total giveback to more than $820,000 in the region since the first event in The Woodlands. In 2017, The IRONMAN Foundation will distribute more than $1.5 million in grant funding to support the needs of IRONMAN race communities across North America. In addition to Rebuilding Together Houston, eight local non-profit organizations will receive Community Grant awards during IRONMAN Texas race week. They include Montgomery County Youth Services, Interfaith of the Woodlands, South County Football League, Education for Tomorrow Alliance, Boy Scouts of America Troop 491, Meals on Wheels Montgomery County, Montgomery County Amateur Radio Emergency Service and Let Them Drum. Coinciding with the service project and grant funding, The IRONMAN Foundation will assemble backpacks filled with healthy snacks, a personal note from an IRONMAN athlete, and tools to inspire local students to eat well, exercise, and live a healthy lifestyle, giving athletes and their supporters the opportunity to connect to local youth and sending them the message that “We’ve got your back.” The backpacks will be presented to Montgomery County Youth Services, a 2017 Community Grant recipient that serves at-risk youth by providing crisis counseling, shelter programs and prevention services.